A second federal judge has rejected the Trump administration's efforts to delay an Obama-era regulation aimed at restricting harmful methane emissions from oil and gas production on federal lands. U.S. District Judge William Orrick of the Northern District of California ordered the Interior Department to reinstate the regulation, which the Trump administration has repeatedly moved to delay or suspend. 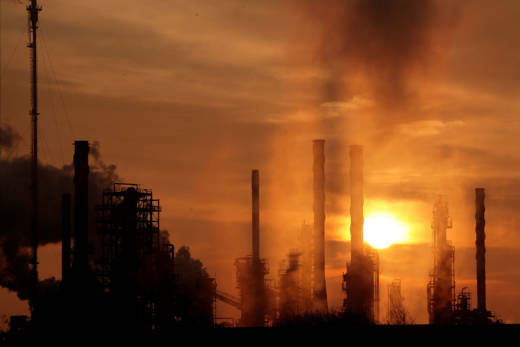 Orrick said Interior's delay was "untethered to evidence" and likely to cause "irreparable injury" to California, New Mexico and other states in the form of increased air pollution and negative impacts on public health and the climate. The ruling marks the second time a federal judge has rebuffed the Trump administration for failing to enforce the methane rule. U.S. Magistrate Judge Elizabeth Laporte ordered the Obama rule reinstated in October.